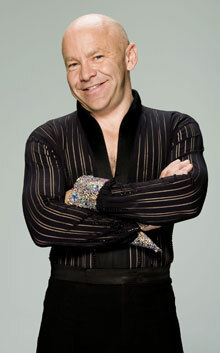 Dominic Littlewood is a British television presenter, journalist and comedian.He is celebraity dancer.Littlewood attended St Thomas More's High School for Boys, Westcliff-on-Sea from 1976 to 1981 and, on leaving, worked in the new and used car business in Essex, setting up his own business in the late 1980s. In 2007 he took part in the fifth series of Strictly Come Dancing, partnered by professional dancer Lilia Kopylova. He was eliminated in the fifth round of the competition.